Virtual Reality (VR) is a hot topic these days. It’s an invasive technology that use computer technology to create a simulated environment which can be explored and experienced by a person who is then connected with the surreal world of virtual reality. With virtual reality you can do and experience things like never before, the things you could only imagine, basically the things that don’t exist in our reality – without even leaving your home. Surreal experiences and simulated environments are some of the ways virtual reality is changing the way we see the world. More than a technology, it’s an immersive experience that alters our reality in ways we can only imagine. And the future of VR is in the hands of standalone VR headsets. There are a plethora of options for those looking to get into virtual reality, with Oculus Rift and Samsung Gear VR being the two most popular choices. The Oculus Rift is a computer-powered virtual reality headset that is worn on the head of an individual leaving them with an unforgettable experience. The VR device allows them to experience the unimaginable and see the unseen using the virtual reality technology. The package includes a light headset, an Xbox One Controller, a wireless remote, and a camera. It sports an intelligent design with a pair of OLED displays and a 110-degree field of view for an immersive experience. Samsung’s collaboration with Oculus has produced an outstanding virtual reality experience with the Gear VR which is powered by Samsung smartphones meaning it can only work with compatible Samsung smartphones because the company likes to keep everything in the family. It’s still one of the most affordable VR headsets available out there making it a consumer-grade VR device. For a pair of futuristic VR goggles, the Gear VR packs a decent hardware which makes it a best buy under the $100 price range. The Oculus Rift is a desktop PC-powered virtual reality headset, like a set of virtual reality goggles that is designed to work with your gaming desktop or laptop. The headset was developed and manufactured by Facebook-owned American technology company Oculus VR headquartered in Menlo Park, California. 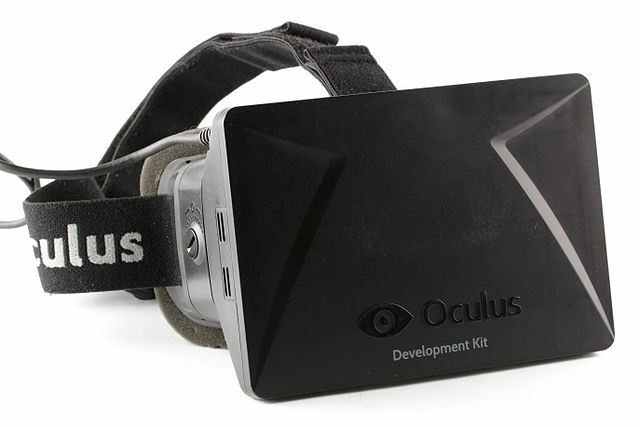 Oculus Rift is still the company’s flagship VR device. 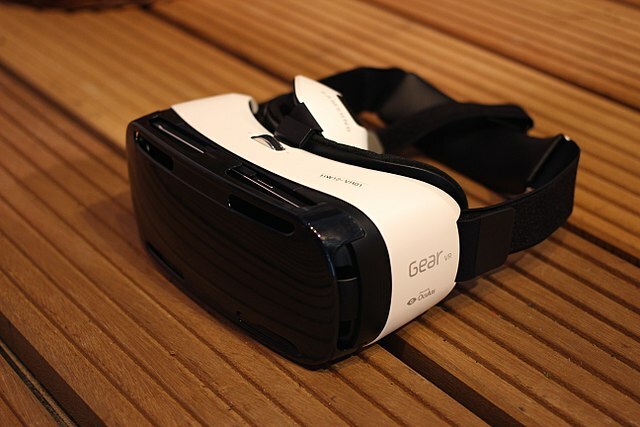 The Gear VR is a mobile-powered virtual reality headset developed by Samsung Electronics. It’s a head-mounted VR system that requires a smartphone in order to work and is compatible with a host of Samsung phones including the new Galaxy S9 and S9+, Note 8, S8 and S8+, and more. Both offer a slightly different design features that make them stand apart, each providing a unique VR experience. The Oculus Rift is a light, adaptable VR device with an intelligent design and a decent size which make it comfortable to wear. It sports a pair of OLED displays with a combined resolution of 2,160 x 1,200. The Samsung Gear VR is an entry-level VR system created by Samsung in collaboration with Oculus to provide an immersive experience and access to a wide range of VR games and applications. It feels lighter in the hands when it comes to design and the straps keep the device securely on making it ideal for long journeys. Both are good performers when it comes to virtual reality, but the Oculus Rift exceptionally outsmarts the Gear VR on various fronts, thanks to the integrated OLED displays, complimented by an accumulated resolution of 2,160 x 1,200 with a crystal clear image quality and a whopping 90Hz refresh rate for a smooth, hassle-free VR experience. The Samsung Gear VR, on the other hand, boasts a display resolution of 1024 x 1024 combined with 101-degree field of view and 60 Hz refresh rate, and the graphics performance is somehow limited by the smartphone hardware. The functionalities and uses of smartphone-powered Gear VR are somewhat limited by the smartphone hardware as compared to a dedicated PC-powered Oculus Rift. However, the Gear VR brings a whole new level of immersion to the table owing to the classic games like Temple Run and Into the Dead, plus playing a dog fight game is quite fun on the Gear VR. The Oculus Rift is a different beast altogether which continues to impress with a steady stream of immersive experiences, along with the personal favorites like Darknet, Eve: Valkyrie, Adr1ft, BlazeRush, Chronos, and more. Six degrees of freedom tracking and seat-and-stand play justify the high price of the Oculus Rift, running a price tag of $499 which was permanently dropped to $399, a $100 cut from the previous price and the price drop was announced at the 2017’s Oculus Connect 4 Conference held at San Jose, California. The Samsung Gear VR is comparatively a cheaper VR headset and has always been the most affordable option in the virtual reality space, priced under the $100 range, but doesn’t deliver the same level of experience compared to the higher-end VR headsets. While neither of the headsets is at par when it comes to design features and style, the PC-powered Oculus Rift clearly outperforms the Gear VR which is somehow limited by its smartphone hardware, plus the Rift offers a steady stream of immersive experiences. So, if you’re solely looking for the best VR experience, then the Oculus Rift is the way to go. The intelligent design and smart features justify the high price tag of the Rift, which only adds to the overall VR experience. The Gear VR is your thing if you already own a compatible Samsung smartphone and it is still one of the most budget-friendly VR headsets in the segment. Sagar Khillar. 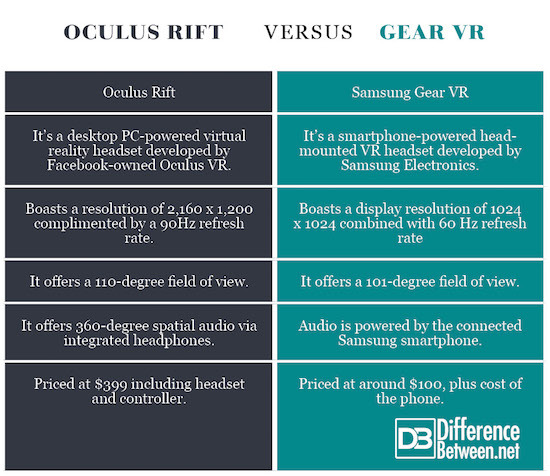 "Difference Between Oculus Rift and Gear VR." DifferenceBetween.net. July 23, 2018 < http://www.differencebetween.net/technology/difference-between-oculus-rift-and-gear-vr/ >.